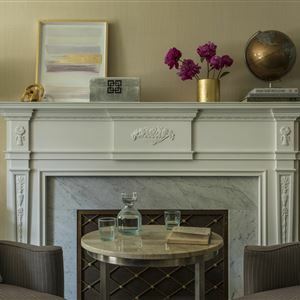 Property Location A stay at The Mayflower Hotel, Autograph Collection places you in the heart of Washington, minutes from World Bank and White House. This 4-star hotel is close to George Washington University and Ford's Theater. Rooms Make yourself at home in one of the 581 air-conditioned rooms featuring refrigerators and Smart televisions. Your room comes with a pillowtop bed. Wireless Internet access (surcharge) keeps you connected, and cable programming is available for your entertainment. Private bathrooms with shower/tub combinations feature designer toiletries and hair dryers. Amenities Take advantage of recreation opportunities such as a 24-hour fitness center, or other amenities including concierge services and gift shops/newsstands. Dining Grab a bite to eat at the hotel's restaurant, which features a bar, or stay in and take advantage of room service (during limited hours). Quench your thirst with your favorite drink at a bar/lounge. Cooked-to-order breakfasts are available daily from 6:30 AM to 11 AM for a fee. Business, Other Amenities Featured amenities include a business center, limo/town car service, and express check-in. Planning an event in Washington? This hotel has 42,000 square feet (4 square meters) of space consisting of conference space and meeting rooms. A stay at The Mayflower Hotel, Autograph Collection places you in the heart of Washington, minutes from World Bank and White House. 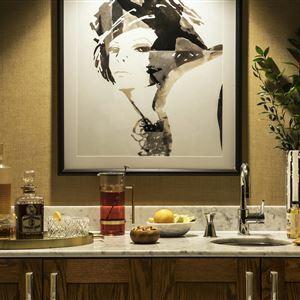 This 4-star hotel is close to George Washington University and Ford's Theater. Make yourself at home in one of the 581 air-conditioned rooms featuring refrigerators and Smart televisions. Your room comes with a pillowtop bed. Wireless Internet access (surcharge) keeps you connected, and cable programming is available for your entertainment. Private bathrooms with shower/tub combinations feature designer toiletries and hair dryers. Featured amenities include a business center, limo/town car service, and express check-in. Planning an event in Washington? This hotel has 42,000 square feet (4 square meters) of space consisting of conference space and meeting rooms.